Under normal pool operations, standard 2-way ball valves are installed in supply and return lines. Those wishing to add a water feature such as a waterfall or spa would require additional 2 way valves as well as additional pumps, electrical wiring and piping. This setup leads to a substantial expense as well as to additional maintenance down the road. 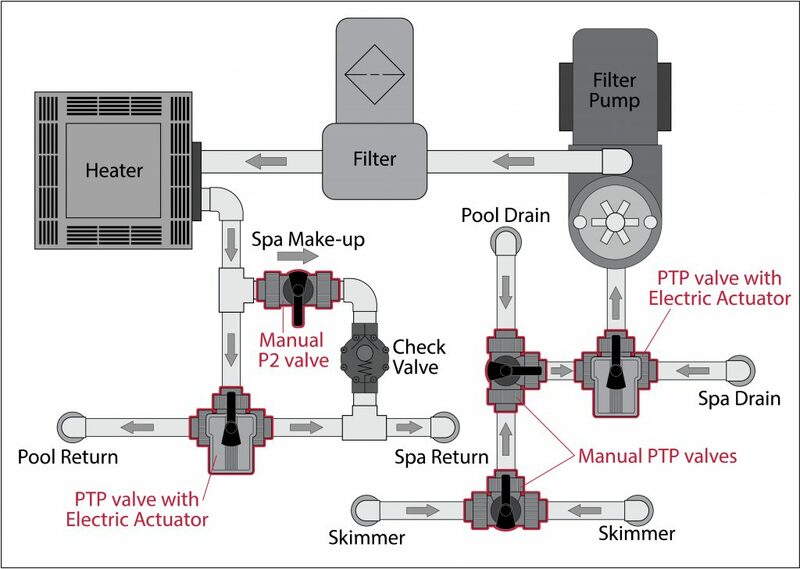 By using the Assured Automation PTP Series 3 way actuated PVC ball valves with manual or electric motor operation(12vdc,24vac/dc, 120vac) the user can divert the supply lines (skimmers or main drains) and return lines normally connected on the pool, to transfer flow to a spa or other water feature. See diagram below. Note the manual P2 Series (PVC 2-way ball valve) spa “make up” valve can be installed to provide varied amounts of flow to the spa/water feature when the pool is in full operation. This design saves space by eliminating the additional of multiple 2-way ball valves which would require additional pumps as well as piping. Cost savings is realized though the reduction in the number of components needed as well as in reduced electrical bills. PTP Series 3-Way Ball Valves can be used for flow diverting, mixing, or on/off isolation. They will replace a Tee + 2 valve linkage assembly at reduced cost and space, along with shorter installation and maintenance time. The patented seat stop carrier allows for in-line micro adjustment of the ball seating, and features o-ring cushioning to minimize wear and prevent seizing. The PTP also includes a patented DUAL BLOCK® locking union nut system, which ensures the nuts are held in position even under severe service conditions such as high vibration or thermal expansion. 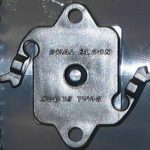 Integral mounting flange and bracketing allows for direct actuation and simple support, while a locking handle can prevent improper positioning. 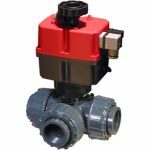 PTP Series actuated 3-way ball valves are part of our complete range of valves and flow meters, engineered and manufactured to strict quality, performance, and dimensional standards. This entry was posted in Latest News and tagged 3 way ball valve, 3 way ball valve for pool spas, 3 way ball valve for pool waterfall, ball valves for pool water feature, PTP Series. Bookmark the permalink.